Clashes between Congolese troops and supporters of a renegade colonel in Bukavu killed seven people before he surrendered and turned himself in to UN peacekeepers, the army said. Kayonga, a former rebel from a disarmed and integrated group, gave himself up at the local base pf the UN mission in DR Congo. “He surrendered with 17 people at the base of the mission,” Kasereka said. Two soldiers and three Kanyonga bodyguards were killed in fighting with two civilians killed by stray bullets, he said. Seventeen members of Kanyonga’s force surrendered and nine others were captured by the army, Kasereka said, adding soldiers found about a dozen heavy weapons at Kanyonga’s house. Security has been deteriorating across Congo since the end of last year, when President Joseph Kabila refused to step down despite his mandate expiring. 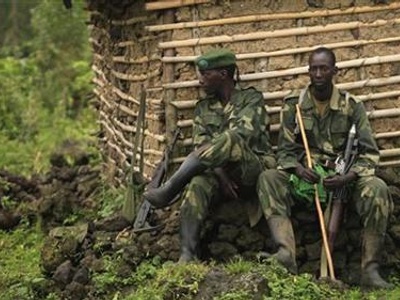 Surging militia violence in the east, for decades a tinderbox of ethnic rivalries fuelled by mineral wealth, and in the formerly peaceful central Kasai region, raised fears the country could slip back to the multi-faceted civil wars of the turn of the century. Those wars killed hundreds of thousands directly while millions of others are thought to have died from hunger and disease. South Kivu has rich deposits of gold, tin and coltan, used in mobile phones, which have long helped finance rebel groups and army officers. The national electoral commission was expected to announce a date for the election to replace Kabila at the weekend. Last month, it said the election cannot take place until April 2019, raising fears of an escalation in militia violence and civil disturbances. US envoy Nikki Haley said during a visit to meet Kabila last month the vote must happen in 2018 or DR Congo will lose international support.